The object of Football Rules is to obtain a winning symbol combination by spinning the reels. 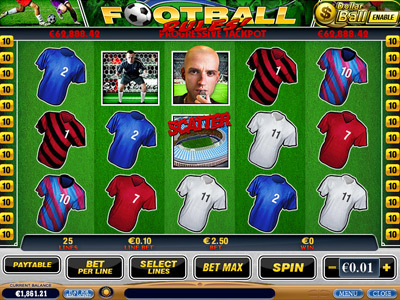 This football themed video slot game is rich with scatter symbols and wild cards to win you extra cash. There is also a fabulous bonus game which is activated when you get the bonus symbol on reels 1 and 5. Choose your lucky football and score a goal from the penalty spot to get free spins with a win multiplier.